A move to have a street near Beis Rivkah receive an honorary naming has drawn criticism, and in a statement the school has now postponed the ceremony indefinitely. This move comes nine months after CrownHeights.info first brought to light a claim that the Rebbe was opposed to such a naming. 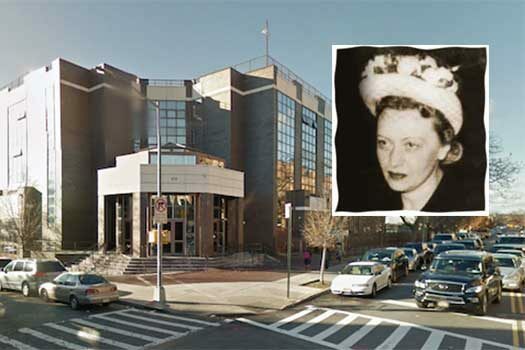 Mr. Eugene sponsored the bill at the request of Moshe Pinson and Yaacov Behrman and the street was to be renamed in a ceremony on Monday, coinciding with the 30th anniversary of her passing. 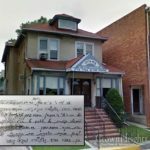 When news of the bill was first published on CrownHeights.info Yankel Goldstein reached out and wrote a comment indicating that the Rebbe was against such a move in the past. He further lamented the fact that no one looked into doing such a thing first. “Why didn’t someone ask before it was done,” he wrote. Nevertheless, that did not stop the Beis Rivkah board from printing flyers and organizing an event to host a “street naming ceremony” this coming Monday, February 12th. Again, Goldstein reiterated his instruction he received from the Mazkirus when an effort to name a portion of Eastern Parkway after the Frierdiker Rebbe. 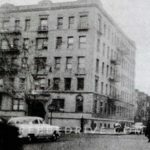 In a statement to CrownHeights.info Yankel Goldstein, the former longtime chairman of Community Board 9, claimed that the he received a clear answer from the Rebbe indicating that he was against using the name “Schneerson” for street naming. “Using the Name Schneerson In the public arena is against the wishes of the wishes of the Rebbe. Let me explain. In 1988 when I was the Chairman of Community Board 9 I was approached by7 Mendel Shemtov A”h the then Chairman of the CHJCC to rename the service road in front of 770 as “Rabbi Joseph I Schneerson” street in honor of the Freirdiker Rebbe. 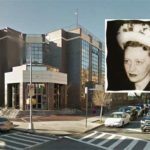 “My response was that I would be glad to engage the efforts of CB9, however I first want to ask the Rebbe if I should do this as it would be on the block of 770. Rabbi Hodakov A”h called me into his office and told me in the name of the Mazkirus “az dem nomin Schneerson henght min nisht in di gassin” [the name Schneerson we don’t hang in the streets]. The message read, “As we were preparing for the dedication ceremony of the naming of the square in front of Campus Chomesh, it was brought to our attention that an answer came from the Rebbe’s secretariat regarding the possibility of renaming a street to bear the Frierdiker Rebbe’s name. “We were unable to independently verity and fully determine all the details, or if this applies in our case. We don’t need that. Of all the things we need from The City, this is what they fought for. Wow. What a colossal waste of time and effort and who knows what else. With all the machlokes going on at Beis Rivka, they should take Rebbetzin Rivka’s name off of the Mosad. What’s going on, with not paying teachers and not being transparent, is not kovod to her. Avremel and the board can’t do 1 thing straight. Right decision by the board. Just another big fail from the new board. Like everything else they did. Raffle. Dinner last year. Melaveh malkah they were supposed to have this month. All past due payrolls. The list can go on. The only thing they are good at is firing a great youngerman who was dealing with parents re tuition. And raising tuition from poor members of our community. Oh I forgot they are also good at giving loans at high interest. If as we know they knew about rebbes response 9 months ago, why did they cancel two days before? If benji is not involved nothing will ever happen! The board needs to wake up and realize. Having said that, many years ago I was in a meeting with a very prominent member of the community to ask him, AS PER THE REBBE’S DIRECTIVE TO HIM PERSONALLY, not to be involved in local politics; in this case it was the Fischer/CHJCC fighting and lawsuits that were destroying the community. The reminder made a very slight dent, but it was clear that the machloykes was more important to him than the Rebbe’s specific instructions. So what can we expect from “Chassidim” today? Shock waves then… there would be shrugs today. How things have changed. Here we go again….the BR Board comprised of young pathetic egocentric wannabes….they continue to embarrass themselves and the school. Leadership? I think not ! !